It took a bit of time but the bricks are finally painted! I will be aging the outside next. And I added a tiny surprise by the front door! It's a Fairy Door! I don't know where I come up with these things. 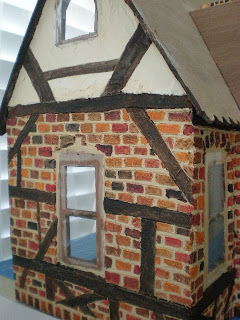 I guess painting each little brick one at a time makes the brain wander into total nuttiness! LOL! Adoro esa pequeña puerta del hada!!! eres una persona con sensibilidad!!!! 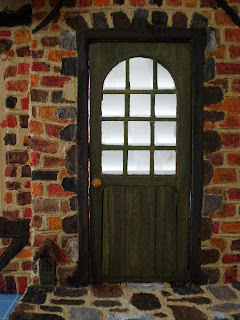 That little fairy door is so cute and the bricks are amazing! You are so very patient. oh- you are too clever! 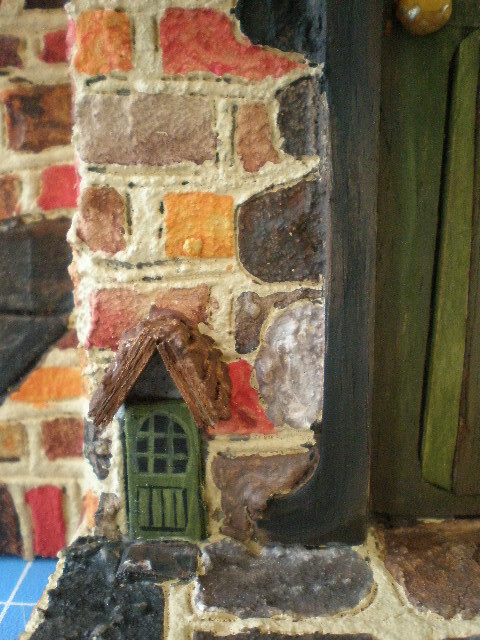 I love the little fairy door!! I am so impressed. What child would not want this??? Adorable. Wow, Caroline! This is amazing! I bet that painting each brick took a long time! And the fairy door is so precious! This made my day! als ich deinen Artikel sah, lag ich gerade neben meiner kleinen Tochter im Bett und sie schlief gerade ein. Als ich wirklich überraschend lachen mußte. Ich hab diese kleine Tür entdeckt und dachte sofort an einen Eingang für eine kleine Maus wie bei Tom and Jerry. Du hast einen wirklichen Gag gebracht, super toll!! La fachada te ha quedado de maravilla, me encanta. Y esa pequeñisima puerta es un precioso detalle. Well...how else would they get in ? can you e-mail me with your e-mail so I cen get into this e-mail address book...ug...I hate comps...sometimes. 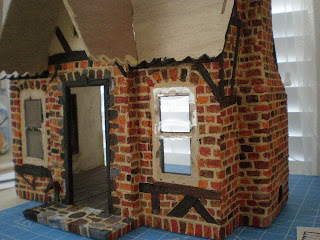 Your Cottage is looking Fabulous!! 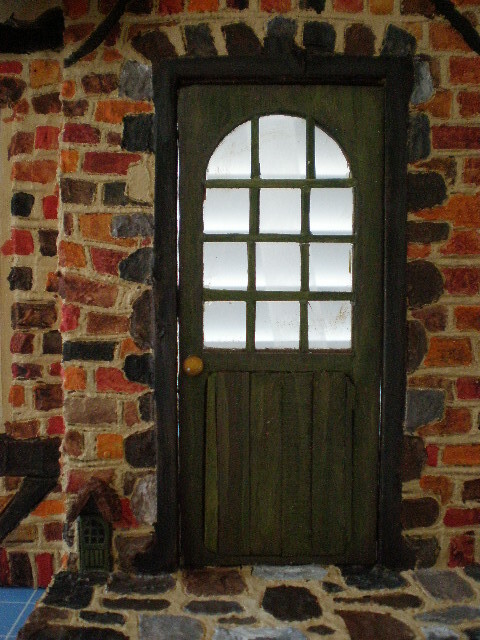 The fairy door gives it that extra special touch of magic!